Private market landlords are critical partners in the work to help people quickly exit homelessness. Strong connections to landlords are even more important in high-cost, low-vacancy markets, where affordable housing options are limited and even those with a voucher may find themselves unable to locate a unit. Successful landlord partnerships are locally driven and involve ongoing engagement. No single approach is the answer - the unique needs and assets of each community must be taken into account. A centralized program, like this one in Washington, offers a single access point for landlords and agencies seeking to connect currently available units to individuals and families holding vouchers and in search of housing. A strong practice includes employing a single 24/7 hotline, so that landlords can reach someone quickly when a unit becomes available or if they need to speak to a staff person because a tenant needs assistance. Having someone on staff who can outreach to and build relationships with landlords as their primary job function can be a strong asset in landlord engagement. This person, who may be called a housing locator, is usually not a case manager. He or she typically engages in tasks such as negotiating a lease, participating in unit inspections, etc. Mitigation funds are accessed when there is excessive damage done to a unit beyond what the security deposit will pay. Generally, communities have found that they are not used as frequently as expected, but that just having this added protection in place can be a game changer when asking landlords to rent to someone that they consider “high risk,” such as people with a poor rental history, low or no income, and/or past involvement with the criminal justice system. View the four community profiles of Denver, Colorado; Orlando, Florida; Portland, Oregon; and Seattle, Washington; to learn how they implement these funds as part of their overall landlord engagement strategy. A mediator responds to landlord/tenant concerns and helps to resolve conflicts. Both parties often win in this scenario, as evictions are costly and landlords would often prefer to avoid them. The neutral mediator can be the difference between a housing resolution and homelessness. 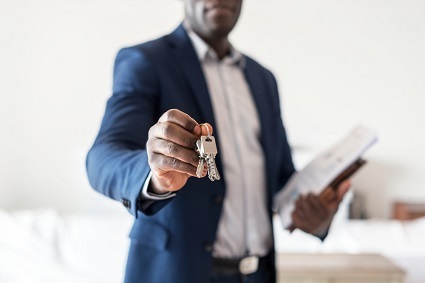 In many cases, federal subsidies are restricted to certain uses, and vouchers may only cover a portion of expenses associated with connecting a tenant to housing. Flexible funds can be utilized for movers, deposits, rent, or inspections. Providers may offer classes or one-on-one coaching for both landlords and tenants on issues such as rights and responsibilities, fair housing, and financial management. This can often be provided by a HUD approved housing counseling agency. In cities such as Atlanta, Detroit, Chicago, Honolulu, and Seattle, landlord events have been held to draw attention to the goal of ending homelessness among Veterans. These large events bring together community leaders, elected officials, and landlords. They are most effective when landlords can hear from other landlords about their successes partnering to end homelessness. The National Alliance to End Homelessness offers additional tips, developed by rapid re-housing providers, for potential landlord recruitment strategies beyond events. Local leaders can carry a powerful message about the need for additional housing opportunities for people exiting homelessness. Several communities and states, like Miami, Delaware, and Portland, have created public service announcements about the need for landlords to support the work to end homelessness among Veterans.